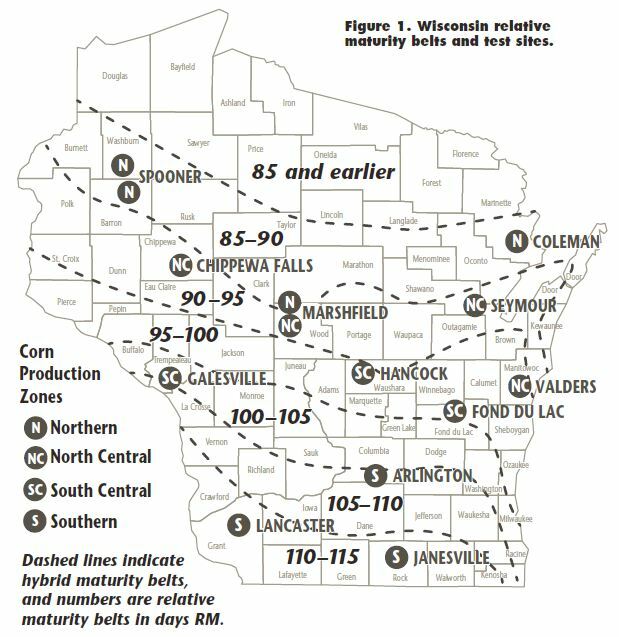 The mission of the research program is to answer corn management questions expressed by Wisconsin farmers. Although farmers are the primary clientele, the general public ultimately benefits and pays for this program. Therefore, we consciously evaluate impacts of this program on society and keep the public aware of how we spend their money. Specific objectives of this project focus on management decision-making regarding crop productivity, quality, and production efficiency including hybrid selection, rotation, tillage systems, and replant and yield loss damage assessments. Emphasis is on impacts of cropping practices on grower profitability, the environment, and natural resource conservation. Note: Annual weather summaries can be found in the annual Gold Book reports above. Growth and Development For 2017 and 2018, see 12 Fertilizer.